A lead article in the July issue of Journal of the American Medical Association (JAMA) Pediatrics analyzed the results of 24 studies involving over 5,000 pregnant mothers. The study concluded that those who took supplements of vitamin D during pregnancy (in the range of 1,000 -2,000 IU per day) were associated with a reduced risk of babies growing too slowly. This is also called “small for gestational age babies.” The babies even improved growth during the first year. 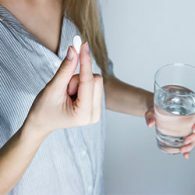 The authors recommended that women should take supplements of vitamin D during pregnancy using the dosage recommended by their healthcare provider. These supplements should begin at around twenty weeks of gestation. According to the 24 studies, any earlier supplementation of vitamin D during pregnancy did not seem to make any difference in the infant’s weight. Vitamin D improves infant growth through an increase in bone and muscle tissue. Vitamin D is the body’s regulator of bone-building minerals. Taking vitamin D helps to maintain a normal level of calcium-phosphorus in the blood, which further improves bone growth. Vitamin D helps the intestines absorb more calcium and phosphorus if the bones need it. The results also suggested that vitamin D helps build a healthier placenta, which helps grow a healthier baby. It’s studies like this that emphasize the reason that we recommend wild Alaskan salmon (2,000 IU per six ounces) as the richest food source of vitamin D, second to sunshine. So, if you do not choose to take vitamin D supplements during pregnancy, you can also eat fish and go outside for around fifteen minutes a day with bare arms and legs exposed to the sun, weather permitting.